The Friends of Historic Essex are a charity which supports the ERO. 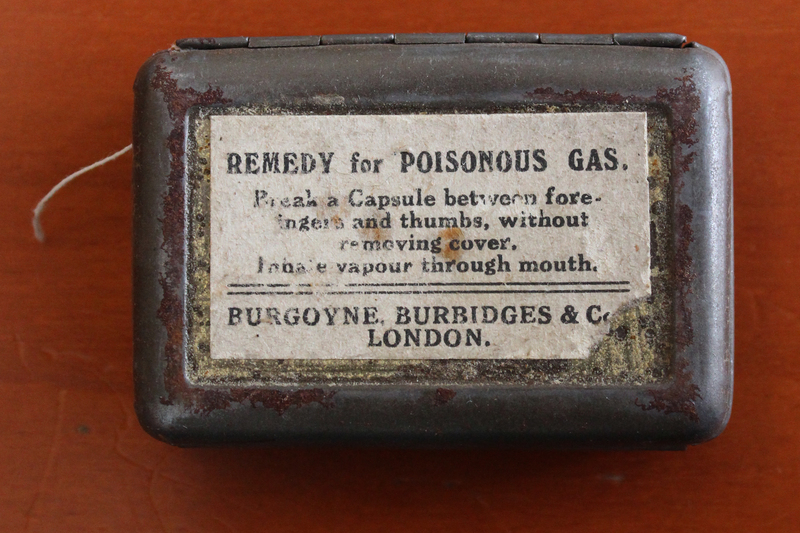 Throughout the centenary of the First World War, the Friends and ERO are working together on the Essex Great War Archive Project, which aims to preserve documentary evidence of the period for educational study, family history research and community histories. The project includes looking out for documents relating to Essex people and places during the War, and where possible acquiring them for our collection. If you would like to help, would you consider making a donation or becoming a member of the Friends? Details are available on the Friends’ website. The Friends of Historic Essex have recently acquired a family collection which has since been deposited at the Essex Record Office (Accession A14026). A large part of the collection consists of letters and telegrams from and relating to the sons of the Reverend Robert Travers Saulez (right). Robert was born in India in 1849 where his father, George Alfred Frederick Saulez, was an assistant chaplain at Nainee Tal. 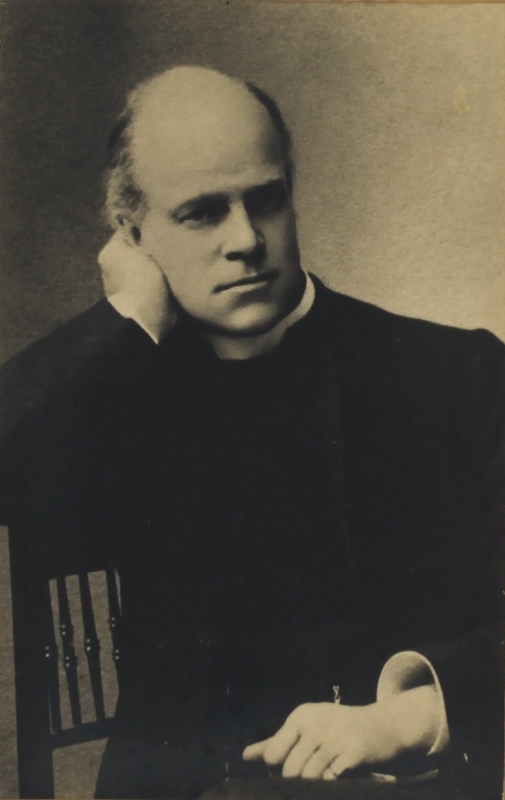 After gaining his degree from Trinity College Cambridge Robert served as curate in Lancashire, Hampshire and London before moving to Essex in 1886. According to Crockford’s Clerical Directory he was vicar of Belchamp St. Paul from 1886 to 1901 and rural dean of Yeldham from 1899 to 1901, vicar of St. John, Moulsham from 1901 to 1906 and rector of Willingale Doe with Shellow Bowels from 1906 to 1927. He retired to Twinstead where he died in 1933. Robert and his wife Margaret Jane had three sons and a daughter between 1882 and 1887. Their sons, Robert George Rendall, Arthur Travers and Alfred Gordon were all educated at Felsted School and later served in the army. The letters deposited appear to date from towards the end of the Boer War through the Great War and beyond. Robert George Rendall Saulez answered the call to serve in the South African Constabulary from 1902 to 1904 so is likely to be the author of the earliest letters in the collection. He volunteered soon after the outbreak of the Great War and served with the Army Service Corps in Egypt and Palestine. He was a good horseman and was recognised during the war for his share in providing an efficient transport service by ‘Horse, Camel or Motor’. After the war he served in the Supply and Transport Corps in the Indian Army until about 1922 after which it is believed he settled in the country. On leaving school Arthur Travers Saulez attended the Royal Military Academy before joining the Royal Garrison Artillery. He was posted to India in 1907 but returned to England prior to 1914 and was sent to France in May 1915. He achieved the rank of Major and having survived the Battle of the Somme was killed on 22 April 1917. 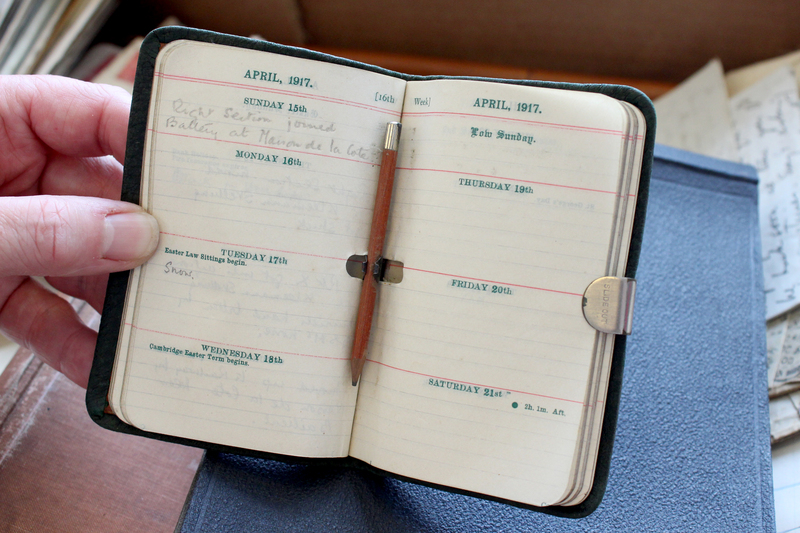 The pencil in his diary which is amongst the collection is lodged in the page of the week of his death. A window was erected in the church at Willingale Doe in memory of Arthur Travers Saulez by the officers, NCOs and men of his battery. Hart’s Annual Army List for 1908 shows that the youngest of the brothers, Alfred Gordon Saulez, had joined the Army Service Corps in 1906 and when war broke out he was sent to France as part of the British Expeditionary Force in 1914. Like his brother Arthur he rose to the rank of Major but unlike his brother he survived the war; however nothing is known of his service throughout the conflict so hopefully some of his letters are in the family collection and will reveal more. Following the Armistice he was posted to Mesopotamia where he died in 1921 apparently as a result of the ‘excessive heat’; he left a wife and two children. Robert and Margaret’s daughter Margaret Hilda embraced the opportunity that the Great War gave women to be involved. She served with the Scottish Churches Huts which, like the YMCA, provided support behind the lines in France. Following the war she married Wilberforce Onslow Times at St. Christopher’s in Willingale Doe with her father conducting the service. 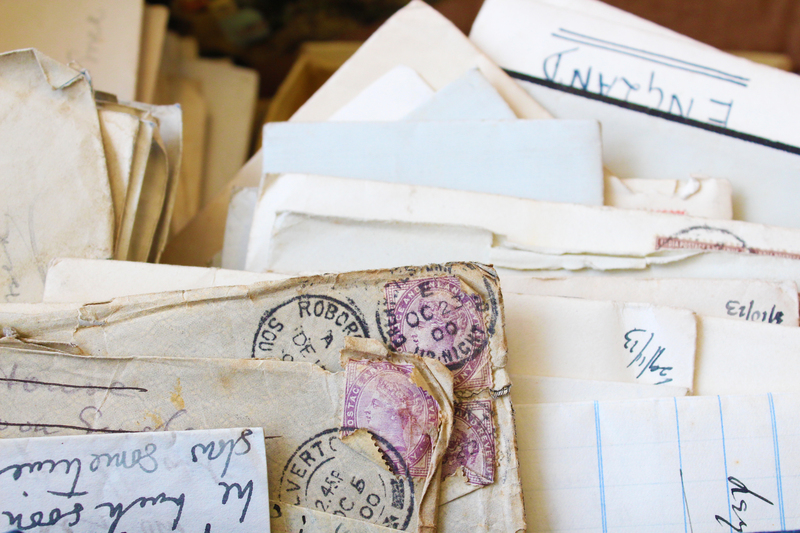 Until this collection of over 300 letters and other items can be sorted and catalogued the full story of this family’s experiences serving their country remains untold. It is hoped that funding can be raised to expedite the cataloguing and storage of the collection and the provision of an educational resource for students and people of all ages. If you as an individual, group or institution are interested in helping fund this project then please contact the Friends of Historic Essex by e-mail or by writing to them care of Essex Record Office, Wharf Road, Chelmsford, CM2 6YT. You can also help to support the Essex Great War Archive Project by coming to a fundraising quiz organised by the Friends on Friday 17 April 2015 at Galleywood Heritage Centre – full details, including how to book, can be found here.